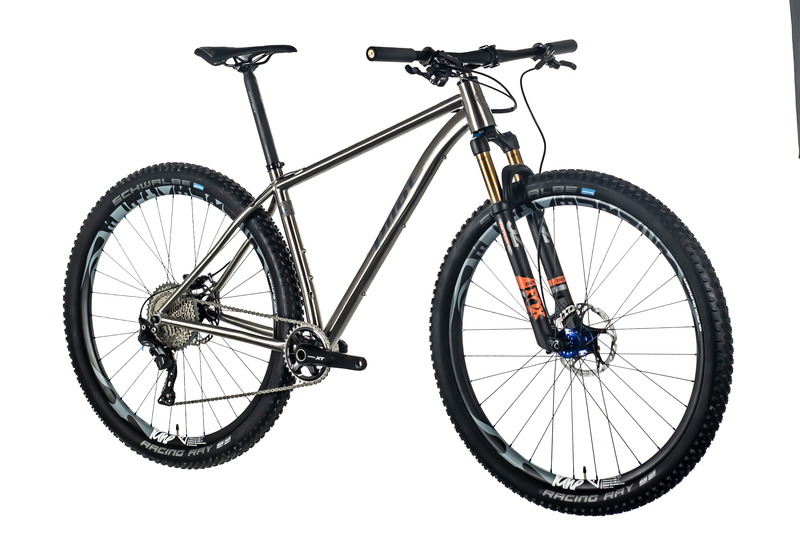 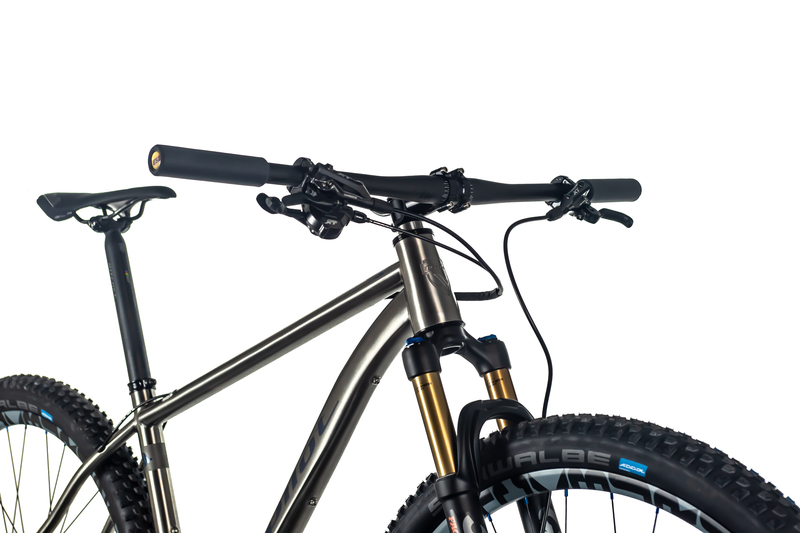 This titanium hardtail mountainbike frame is modern, fast and has an agile XC geometry wrapped in clean lines. 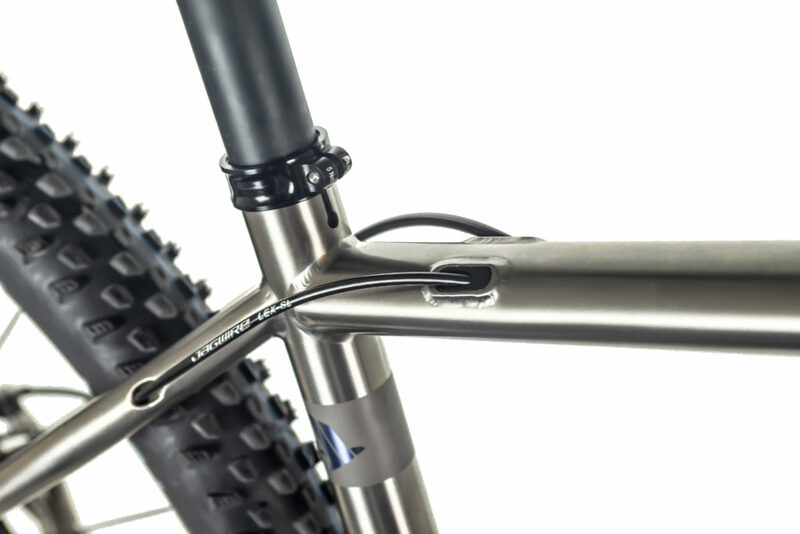 custom models, such as internal cable routing and durable, beautifully blasted logos. 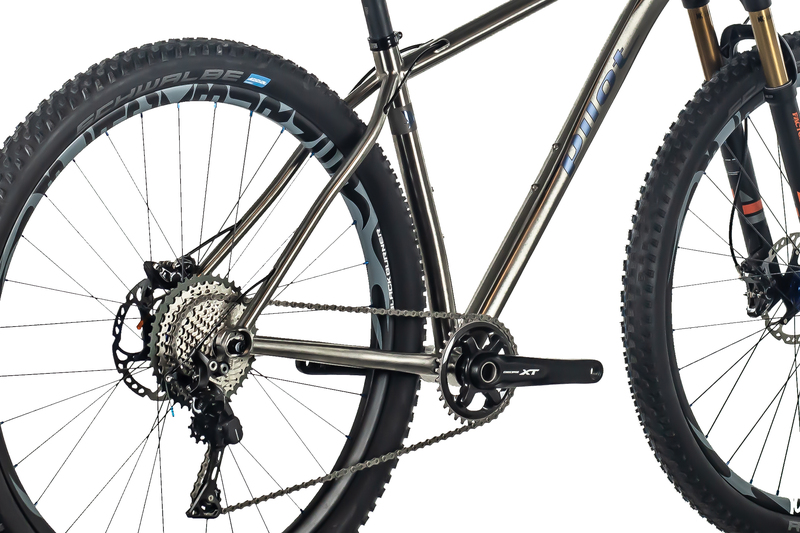 Schwalbe Rocket Ron ADDIX speed 29" x 2.25"